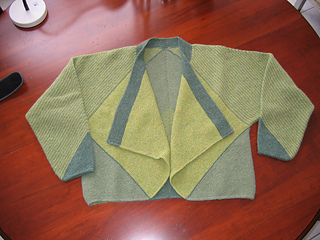 DaCapo is a short, garter stitch jacket. It is knit in one piece. 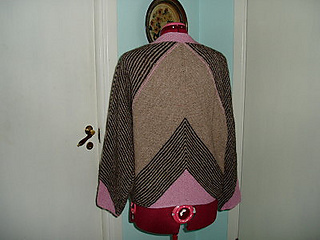 This pattern is available as a kit for $258.00. 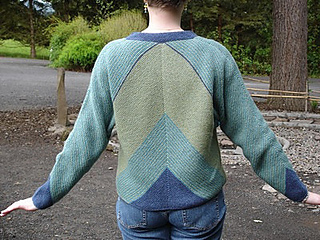 This pattern requires that you get exact gauge, or it won’t go together. It looks complicated, but as long as you follow the instructions carefully, it really isn’t that difficult.